Do you think it’s going to rain? I’m not sure, the Weather Channel said it’s only a 20% chance. Are you wearing those shoes? They’re terrible in the rain. Should we risk not bringing umbrellas? It really looks like it might rain. Just bring your big purse and you can carry the umbrellas… along with all the rest of my stuff. Women carry many of the great burdens in life – and everyone’s stuff. Someone please bring back the man bag. Fortunately neither the weather nor how heavy my purse is, can ever squelch my family’s appetite for shopping and food. 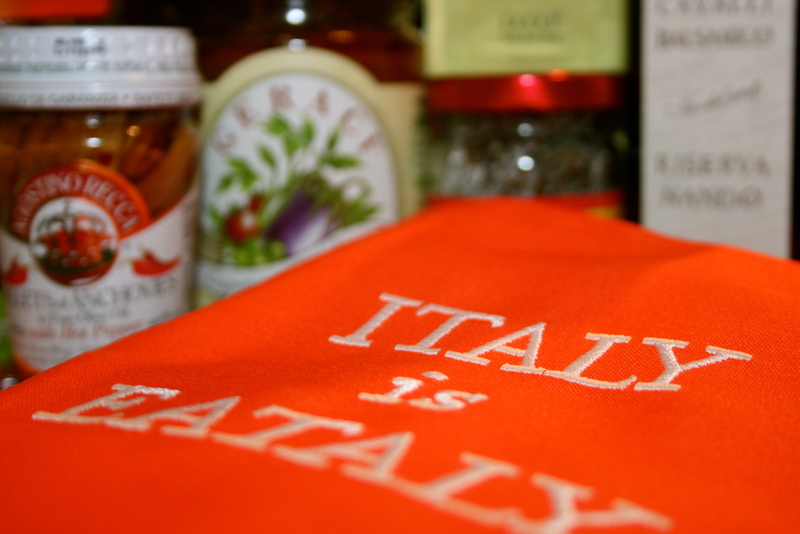 The annual Feast of San Gennaro was taking place in Little Italy and I was determined to find time to investigate Eataly… the newest enterprise by Mario Batali and Joe Bastianich. Things were looking up when we arrived at the hotel – a surprise room upgrade… my 13-year-old daughter was thrilled! Free wi-fi and a huge Apple desktop were waiting in the room. “No! The room is for sleeping,” we announced and off we went to wander around SOHO. Determined not to eat anything, saving our appetites for San Gennaro (patiently waiting for meatballs and gelato), we enjoyed the shopping and pushing our way through the crowds on the narrow sidewalks. Still, no rain and the purse is damn heavy! After some successful finds at our favorite store Uniqlo (if you haven’t been, it’s a must!) we headed back to drop things at the hotel and walked over to Little Italy. I hadn’t been to the Feast of San Gennaro in years. All I could remember from that time was the smell of sausage and peppers, so you know it was on my list of street foods to conquer. My husband, who had never been, wasn’t sure what to expect. I think he didn’t care what they had as long as it was dripping in good marinara and included some type of smoked Italian meat product. My daughter, with her equally healthy appetite was ready! A walk down Canal Street from our Tribeca hotel landed us at the entrance of the feast. Blammo! A crowd that you can’t imagine. Who are all these people? Dressed in variations of Yankee spiritwear, the colors of the Italian flag and Snooki’s stilettos. I felt oddly both under-dressed and the best dressed, in my jeans and sneakers. Holding on to any part of my daughter so not to lose her, the three of us made our way through the crowd. If only there were fewer people, we could have had the meatballs and sausage we were waiting all day for. A quick decision led us to eat in a restaurant called Pelligrino’s. It had a sign out front noting it was Zagat rated with a 23 for food. Pretty good. Zagat is like Wine Spectator – it’s a slight guarantee that you won’t be disappointed. We weren’t. A big artichoke stuffed with garlic and breadcrumbs and rice balls (Arancini) to start. Yummy. Rigatoni Bolognese for two of us and chicken parmesan for the third. Everything was very good. Our only complaint was it was hot in there. Service was spot-on and friendly too. Not sure we’d go back, because there are so many other great places to eat Italian food in the city. Working our way out of the festival, we happily stumbled upon perfectly creamy gelato… my husband coincidentally stumbled on zeppoles and torrone too. No comment. Would I recommend the Feast of San Gennaro? If you haven’t been, it’s worth going once. The crowds were insane, but the people watching was entertaining. Back to our Jewish roots in the morning, we swung by Zabar’s for bagels, lox, whitefish, rye bread and chopped liver to bring for lunch with family. Is there anything better than the rye bread from Zabars? I don’t think so! Truly its own culinary experience, if you haven’t poked around Zabars you’re missing out. Chocolate Hamantaschen, outstanding! Worth the trip. Finally, Eataly… what I’d been waiting for and it was amazing! The place was packed at 7 o’clock on a Sunday night. 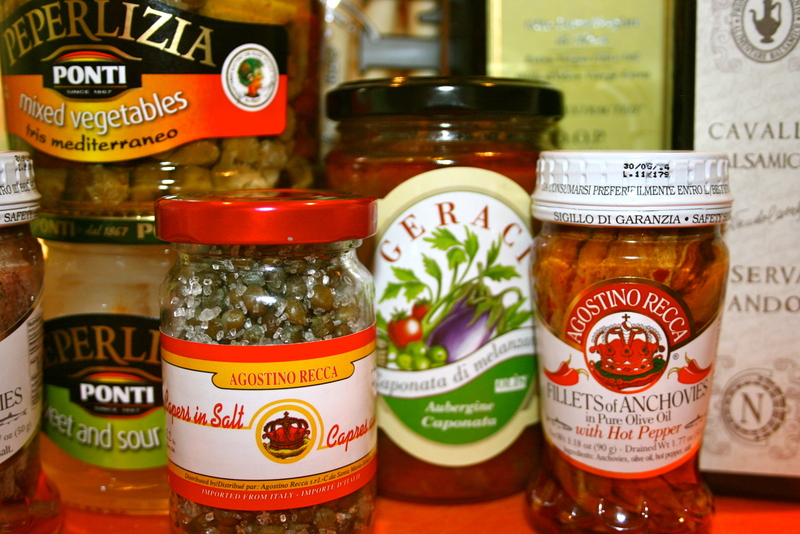 Imagine every Italian ingredient and food experience under one roof. From fresh meats and cheeses, to wine and produce… a little housewares department with great tools and funky serveware & an impressive assortment of condiments, olive oils and vinegars. They had a little section of just anchovies and so much pasta to choose from it was mind-boggling. At this point, my daughter looked and me, smiled and said “you love it here, don’t you?” She was right. Whether you’re looking to sit and enjoy a meal or shop in the market, Eataly’s 50,000 square foot space satisfies your Italian cravings for certain. Still full from our Zabar’s lunch, we didn’t eat dinner while we were there, so I can’t pass along opinions on the food. It all looked great! People were wandering around with a glass of wine and shopping… it was an extraordinary experience. My inability to find a knowledgeable sales person to help me shop the olive oils was the only annoyance during our visit. Let me tell you, we didn’t get out empty-handed…. look at all the goodies we scored! And check out my new orange Eataly apron above! Don’t you just love it! glad you had a wonderful time in Little Italy and Big Eataly! Nancy, your powers of description are AWESOME! Most impressive! I can’t wait for you to come to Johannesburg so that I can take you to restaurants! We have wonderful Italian Restaurants and Delicatessens, Chinese Restaurants and Delicatessens, Jewish Restaurants and Delicatessens, Indian Restaurants, etc., etc. I don’t think these are Rosalie’s ‘cup of tea’ but Harold and I love trying out different foods and restaurants and drive for miles for a good meal! We’re hoping to come for a visit next summer. I will gladly be your partner to explore all the different restaurants. Alan and I love Indian food – I bet it’s really good there.